This is a guest post from my friend Samuel Burger. Samuel is the Senior Pastor at Chestuee Baptist Church in Calhoun, Tennessee. 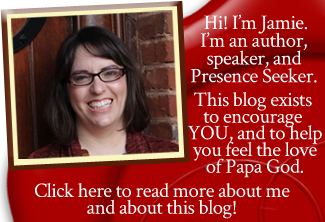 I asked him to guest post because he is one of the most anointed people I know. I hope you enjoy what he has to say! Redemption is the accomplishment of Jesus Christ, who purchased our salvation on the cross. Redemption was achieved through the death, burial, resurrection and ascension of Jesus Christ. However, sometimes people forget that. This lens magnifies reality or salvation by what we do, instead of accepting redemption as a gift. This lens magnifies a distorted view of God, seeing Him as a ruling taskmaster. The religious lens focuses more on what you should do, rather than focusing on a relationship with God. The religious lens can’t see that a flow of right doing can only come out of intimacy with God. 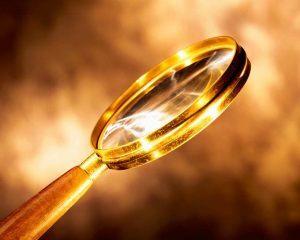 This lens magnifies ethicality as the basis of salvation. This lens causes people to say, “I’m a good person. I don’t bother anyone.” This lens can cause people to view redemption as something to strive for rather than receive. The problem with these lenses is that they take away assurance of salvation. Can you imagine living day by day, hoping you did enough to retain salvation? That’s no way to live. It is liberating to look through the lens of redemption because it takes away your fear of losing your salvation. Through this lens, there is no such thing as a refund. You were bought with a price! The word “seal” is a mark of ownership and proof. In the business world of Paul’s day, this word meant that the goods, money or documents were secured for delivery. No one could argue with the claim of the seal. God’s seal on us is proof of our full delivery to Himself! The word “pledge” means a down payment of what was purchased. This word was used in Paul’s day as a contract of sales and service. It described a security deposit in business transactions. This word is also used of an engagement ring! The security deposit of the Holy Spirit guarantees our redemption! We are secure because Jesus has redeemed us. Personally, I have experienced much freedom in my life when I learned that God does not require me to live up to standards set by man. He only requires me to receive the gift of salvation. I understand now that Christ became the holy standard for me, and that is more than enough. I live from redemption now, not for it. My life is a result of redemption, not a striving for redemption. Do you find it liberating to know you don’t have to earn your salvation? Leave a comment below and let’s talk!